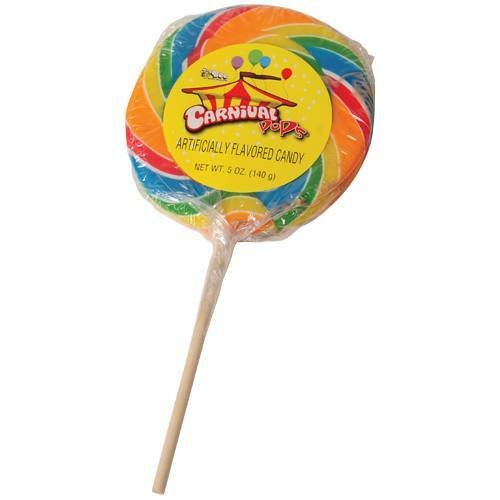 Bring home a piece of the Big Top with these giant carnival-themed lollipops! Brightly decorated in an array of rainbow colors, this lollipop is eye-catching for the candy buffet table and a delicious treat built to satisfy that sweet tooth! 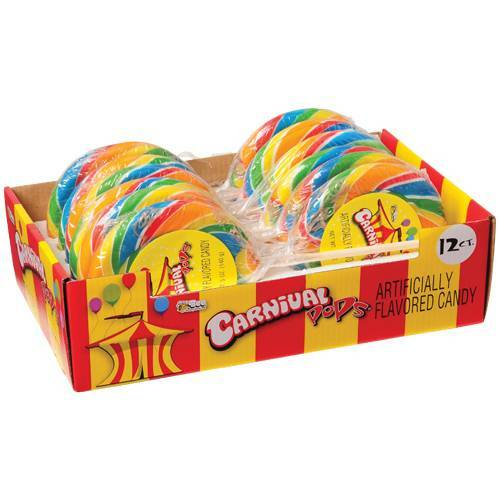 Perfect for carnival redemption prizes and party favor goody bags!